Hammond sends Berry "loving birthday greetings." 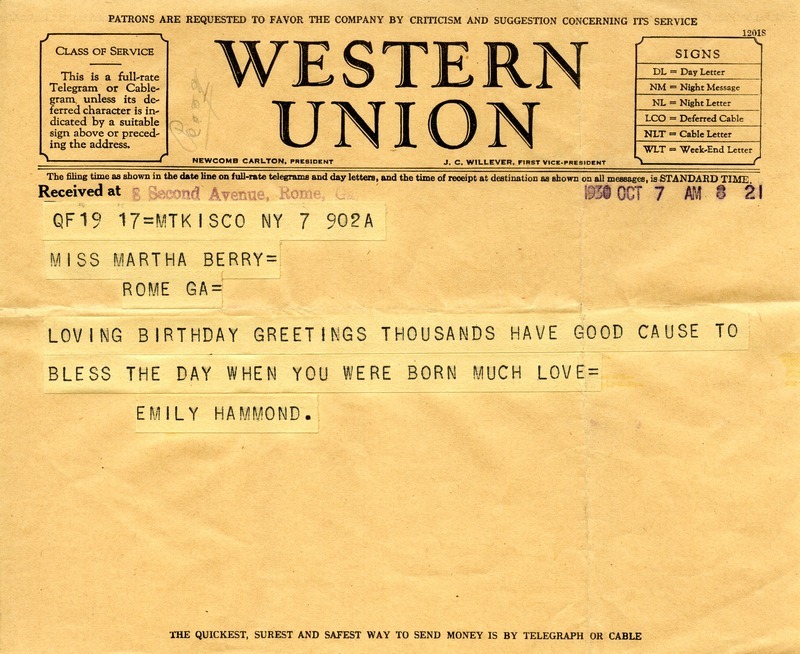 Emily Hammond, “Telegram to Martha Berry from Emily Vanderbilt Hammond.” Martha Berry Digital Archive. Eds. Schlitz, Stephanie A., Sherre Harrington, Rachel Renaud, Kasey Haessler, et al. Mount Berry: Berry College, 2013. accessed April 20, 2019, https://mbda.berry.edu/items/show/12875.